Under The Copper Tree: Happy Spring. Have Some Bread. Happy Spring. Have Some Bread. 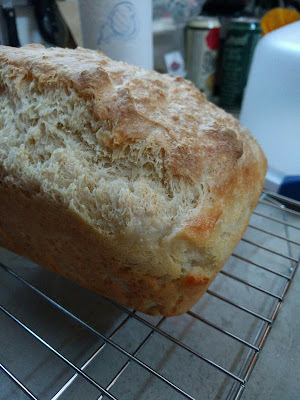 This morning I decided to try another no knead bread recipe. Not too bad, but stickier than other no knead recipes I've made. Well received by my co-workers, who have gone a while without my homemade bread. Will try a whole wheat sandwich bread soon.